First thing, find out what project budget your Project Sponsor and Finance have in mind for your project and then work off that. Sometimes, admittedly rarely you get a nice surprise and discover that the Organisation has budgeted more for the project than your project cost estimation comes out at! Always pick the brains of your team and other resources available. Chances are someone else in the Organisation will have had experience in delivering a similar project. Their experiences will be absolutely vital in giving you a steer on your project cost estimation. Remember that few resources are allocated purely to one project. Therefore there may be an overhead in terms of their ability to multi task and work on different deliverables. You should therefore assume these resources might take longer to deliver and therefore cost slightly more than anticipated. Find out what the breakdown is likely to be in terms of contract, external and permanent resources. The latter are usually charged on a flat rate basis and are usually the cheapest option. Contract resource is usually the most expensive especially if it include the agency fee, whilst with external resource, they are usually charged at a special rate, and hence might be cheaper than your expect. Never book any resource 100% of the time. No resource is ever able to spend 100% of their time working on project work because there are always other overheads to consider such as their own team meetings and 1 2 1's with their line manager. 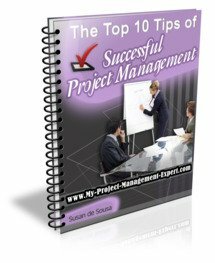 After all even you might be managing two projects and the time you spend completing the weekly project management report may be booked elsewhere. Therefore only book a resource 80% of the time. Always ask what management time needs to be included in your project cost estimation. You might wonder why these need to be included in your budget but where do you think your Programme Manager, his superiors and Project Management Office (PMO) book their time to? The answer is that usually they divide their time equally between all the projects under their management and this can add up if you don't include it in your original budget. Of this list always remember to add in budget contingency (but remember to hide it) and don't forget the easily missable things such as buying any hardware and software required. Also if in doubt ask, ask and ask some more. You'll be surprised how willing to help others will be. Just remember not to believe them 100%. Everyone always has a vested interest, where money is concerned. Workstream Leads will want to find a way to ensure they can keep their resources by getting them to book to a project, whilst contractors simply want to find someone willing to pay their daily rate for as long as possible.